"I would be true, for there are those who trust me." 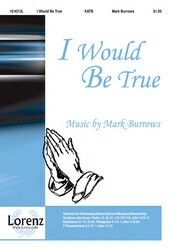 Tenderly expressive melodic lines, sensitive choral writing, and supportive harmonies characterize Mark Burrows's original setting of Howard A. Walter's text about living a virtuous life in Christ. 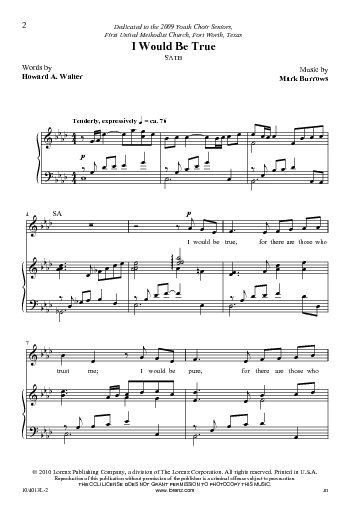 The combination of beautiful music and the devout message makes this selection perfect for use throughout the church year.